Hello, this is just for the runner-up for my original contest. 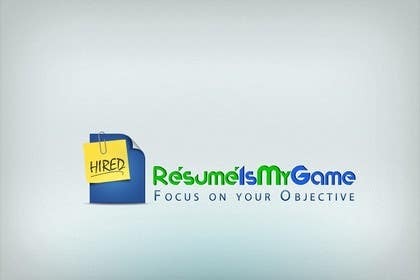 If you want to provide an entry, please visit my Original contest: "Design a Logo for ResumeIsMyGame" Project ID 24289. The original contest is for $50. NO NEW ENTRIES WILL BE CONSIDERED HERE since this is for the 2nd placer from that contest. All postings here are the ones from the CONTENDERS only from that contest. Out of more than 215 entries to date. I am also looking for a good website designer and developer who actually has it in their portfolio in their profile and I could have the links to visit and interact with the website. This is a project and not a contest that I will be looking into after I have my Logo done.